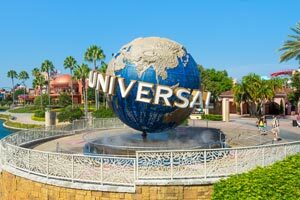 Located in Orlando, Buena Vista Suites is in the entertainment district, a 3-minute drive from Lake Buena Vista Factory Stores and 8 minutes from Orlando Vineland Premium Outlets. This family-friendly resort is 4.1 mi (6.6 km) from Disney Springs® and 6 mi (9.6 km) from Epcot®. Make yourself at home in one of the 279 air-conditioned rooms featuring refrigerators and microwaves. Wired and wireless Internet access is complimentary, while 42-inch LCD televisions with cable programming provide entertainment. Private bathrooms with showers feature rainfall showerheads and designer toiletries. Conveniences include laptop-compatible safes and desks, as well as phones with free local calls. Be sure to enjoy recreational amenities, including outdoor tennis courts, an outdoor pool, and a spa tub. This resort also features complimentary wireless Internet access, concierge services, and gift shops/newsstands. If you'd like to spend the day shopping, you can hop on the complimentary shuttle. Enjoy pizza at Bistro Pizza Express, one of the resort's 2 restaurants, or stay in and take advantage of the 24-hour room service. Relax with your favorite drink at the bar/lounge or the poolside bar. A complimentary hot/cold buffet breakfast is served on weekdays from 6:30 AM to 10:00 AM and on weekends from 7:00 AM to 10:30 AM. Featured amenities include complimentary wired Internet access, a 24-hour business center, and limo/town car service. This resort has 3 meeting rooms available for events. Free self parking is available onsite. The preferred airport for Buena Vista Suites is Orlando, FL (MCO-Orlando Intl. ).